Sitting in a sleigh pulled by reindeer through a snowy forest, you learn what Lapland is all about. 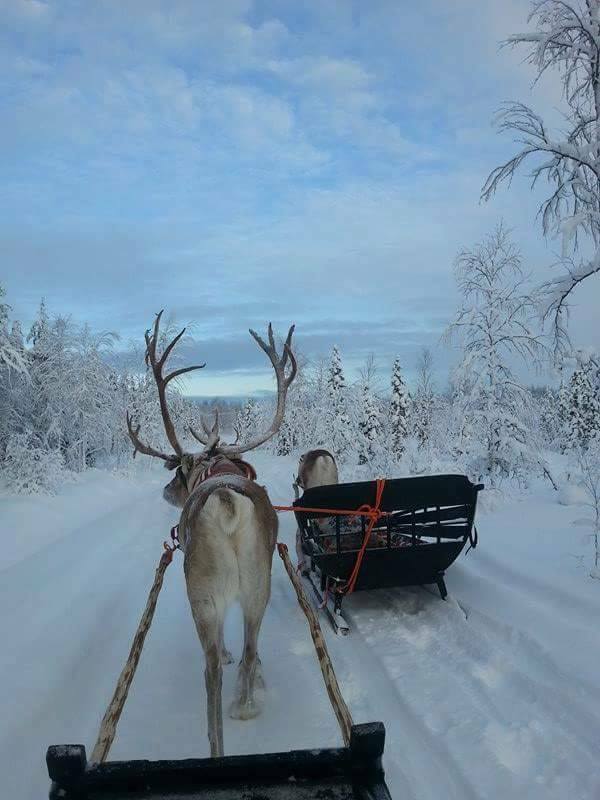 On this tour, the team of reindeer is driven by a guide and the guests travel under warm covers in the sleigh. After the tour, we sit around the fire and learn more about reindeer.